KANAVA experts collaborate with institutions in developing countries and elsewhere to implement the firm’s proprietary Impact Strengthening Development (ISD) tool, a practical resource to improve organizations’ management systems -- helping them become more sustainable while making them more effective stewards of donor funds and stronger partners. The nine building blocks of the KANAVA Impact Strengthening Development (ISD) tool. 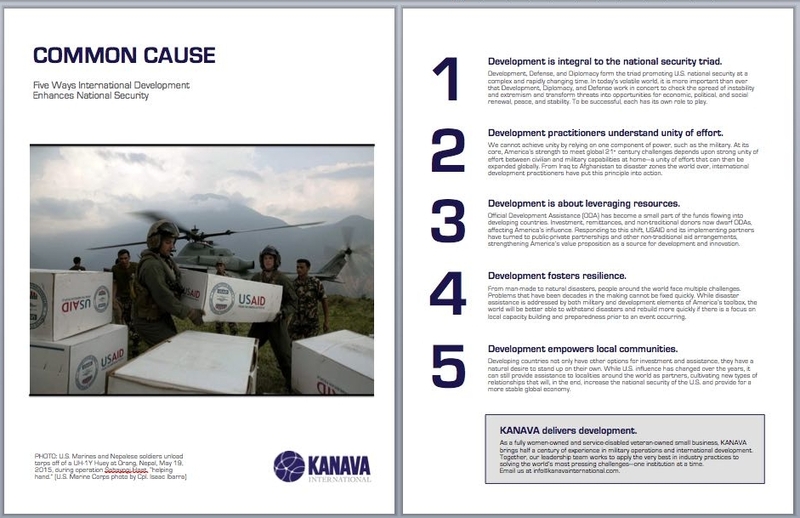 KANAVA's Impact Strengthening Development (ISD) tool has helped measure and improve the management capacity of international development professionals and organizations, from West Africa to Cambodia, Afghanistan, and the United States. Using a systematic approach, which will soon be available online, KANAVA experts guide organizations through the nine building blocks of effective management, helping them identify gaps and devise a strategy for addressing them. ISD empowers organizations to see the big picture, understanding how each business process -- from human resources to financial management -- fits with the others. Once the pieces of the puzzle are viewed together and the challenges an organization faces become clear, KANAVA can work in partnership with management to help address these challenges through customized, customer-driven technical assistance. To learn more about ISD or to request an assessment, please contact us at info[at]kanavainternational.com. In addition to its leadership team and U.S.-based staff, KANAVA maintains an extensive database of consultants with experience working around the globe. With ongoing projects on three continents, KANAVA knows how to mobilize the right experts to address the capacity-building needs of organizations, no matter where they fall on the development spectrum. And with our worldwide experience, we know how to work within a diverse range of organizational cultures, remaining sensitive to local norms and expectations. To inquire about KANAVA's expert roster or to submit your resume for consideration, please contact Carol J. Yee, Chief Operating Officer, at recruit[at]kanavainternational.com. KANAVA’s Research and Analysis Team focuses on serving the varied needs of clients working globally, whether or not they are government entities, international development organizations, commercial enterprises, or non-profits. In a time of information overload, KANAVA’s team is committed to synthesizing complex data and information to provide pragmatic analytical findings to address critical customer needs. KANAVA's contribution to the "Thought Leadership Compendium," a publication of the Professional Services Council (PSC) as part of its annual development conference.